Need Help When Buying A Car Some Distance Away? Buying a used 75 or ZT that is some distance from where you live, can at best be an incovienience, and at worst a complete waste of money and time. I myself wanted to buy a ZT which was for sale in Sheffield some months ago. Not a problem, unless like me you live in Southampton. However, with the help of fellow member Duotone who lived nearby, I was able to get an initial heads up on the car which then enabled me to decide whether to travel the 200 miles and pay the considerable train fare to see the car for myself. Duotone, who I value as a friend, gladly accepted my request to take the initial inspection for me, and he was able to take photographs showing the actual condition of the vehicle, not just the images supplied by the seller. On the strength of his report, I did make the trip, and purchase the car. This experience has prompted me to post a suggestion which other members might find useful. Namely that If you are a club member who has spotted a car for sale on the forums, ebay or Autotrader, but that is located at the other end of the country, why not consider asking any members listed below, who live close by, to take the initial look for you. If the area is not covered, then an appeal in the General forum should be the next best option. 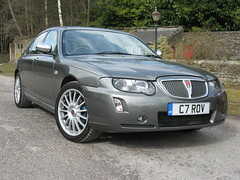 With any private sale, one mans 'perfect' may be another mans 'poor', so written descriptions could disappoint, but the beauty of this suggestion is that everyone here has a good eye for our cars, knows what to look for, and can quiz the seller with a detached manner that they couldn't if they themselves were considering buying it. In addition, asking whoever volunteers to view the car for you, to take a few pictures would certainly help in acertaining the true condition of the car for sale. So please don't be afraid to ask on the off chance, in the long run it could save you a considerable amount of time and money. If there is no volunteer in your area of interest, then please post a request in the General Forum. 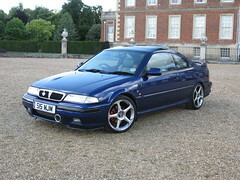 The members listed on this thread will view cars in their local area on behalf of fellow club members entirely in good faith, and AT THE PURCHASER'S OWN RISK, no liability can be attributed to the person who viewed the car, or to the Club, if they do not discover any potential fault at the time of viewing, which may arise after purchase. All purchases are made at buyer's own risk, the viewer can only give their honest opinion and their comments should reflect the true status of the vehicle as seen. Last edited by Reebs; 30th October 2018 at 05:32.. Reason: List Updated. I would support this. I know only too well what its like to travel hundreds of miles to view something and it be a total waste of my time and fuel costs. Perhaps it might be an idea for all those willing to look at a vehicle on another members behalf to put their name on a list with where they live and the list be made sticky. Certainly wish I'd done this with mine. I turned up to view mine, having bought a one way train ticket from Bradford to Birmingham, on my son's birthday. It did influence my decision to buy. If the car had been closer to home I am certain I would have walked away and not bought it. An excellent idea that I'm sure will catch on. Whilst not mechanically minded I would gladly go to have a look at any vehicle close-ish on behalf of a member and would definitely ask around if I was the prospective buyer. When I decided on a 75 Tourer the one I got was the 8th I had looked at. SWMBO accompanied me on each trip. The trips back were not as nice as the ones there each time!!! A very good idea and should prove helpful, but i was afraid of missing mine and drove the 200+ miles to Sittingbourne to view and then leave a deposit, having seen the dealers pictures on the net.I then collected a few days later via a one way £32 train journey. I do agree though that a lot of time and money can be wasted viewing cars that are not as they first seem in the ad/pics. Altho' I did ask this a few weeks back for a potential buy and got not a single reply ?? A suggestion to help when buying a car some distance away. I think this is a very good idea..and i would be willing to do this for anyone.